Florida is a popular vacation destination, with good reason. The smell of the ocean washes over this peninsula, offering serenity and complete relaxation. People flock to the state every season to get away from it all, enjoy the cool sands, and place their feet in the rejuvenating ocean. This is why many hotels, especially in Sarasota, fill up quickly. What are you to do when there are none left, or you want a more serene vacation and you need a place to get away? Look to Siesta Key for beautiful vacation lodging. There are three main keys included in Sarasota’s city limits, and Siesta is the most popular. Siesta fills with hundreds of Sarasota vacationers every year. It includes the softest sand of the three; smooth sand that glides across the skin. The public beach is always clean, and the town itself is full of unique eateries, fun night spots, and beautiful beachfront homes. Among these beachfront homes are a number of resort rooms, which are as convenient to Sarasota as actual Sarasota hotels. Siesta Key is only six miles south of Sarasota, and the town offers a number of different commute options; taxis, buses, and rental cars are all viable travel methods into Sarasota. Simply catch a bus, or drive straight up Midnight Pass Road. Cross the bridge to the mainland, take a left, and follow Main Street to center Sarasota. It’s so convenient to reach Sarasota from Siesta Key that it’s easy to understand why many people choose this key for vacation lodging when visiting Sarasota. Anyone who wants to simply relax near their resort room in Siesta Key will be served with a town that has won awards from the Travel Channel for one of America’s Best Beaches. The public beaches here are serene, with soft sand, clean facilities, lifeguards, and full facilities. It’s easy to spend a day here, whether it’s at Crescent Beach, with its smooth landscape, or Turtle Beach, with its rocky shore and opportunity to hunt for shark’s teeth. Have a picnic at picturesque Turtle Beach or place your feet in the sand at Crescent Beach, and let the hours melt away. Opting for Siesta Key lodgings over Sarasota hotels offers a getaway from the bustle of the busy city. Shopping, relaxation in the water, and access to both the Gulf and Sarasota Bay are available on this land strip. You will be able to visit Sarasota as often as you’d like, with a quick 15-minute car trip into the city proper. Take a day to explore everything Sarasota has to offer, then reserve a day to explore the actual Key itself. Stay in a beautiful condo, such as those offered by Tropical Breeze, and choose from a number of different locations around the Key. Choose anything from a studio to a freestanding, single family home for your Sarasota vacation. 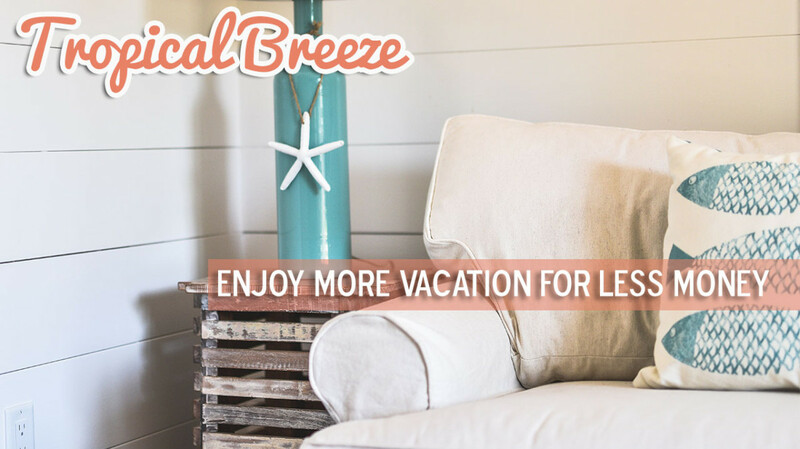 No matter how much, or how little, room you need, Tropical Breeze offers something to comfortably fit your whole party in relaxing Siesta Key.